Roger Godin, Team Curator, Minnesota Wild is responsible for the State of Hockey Tribute in the Xcel Energy Center. The Tribute consists of 40 exhibits dealing with hockey in Minnesota. 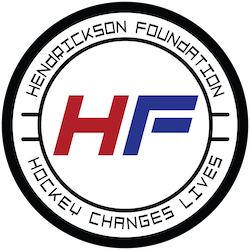 He had a 30 year military career, active and reserve component, and assists the Minnesota Warriors wherever needed as was the wish of Larry Hendrickson, the foundation’s late originator.